Launched in 2005, Grey’s Anatomy is one of the rare TV series to reach 15 seasons and still retain the audience’s popularity. The film revolves around a group of doctors, nurses and patients at a hospital in Seattle. Throughout the episodes, viewers gradually discover the hard work, relationships or personal life of those who work or treat here. Over 15 years of broadcasting, the work has become a part of the audience’s life with a series of interesting details thanks to the huge number of episodes. 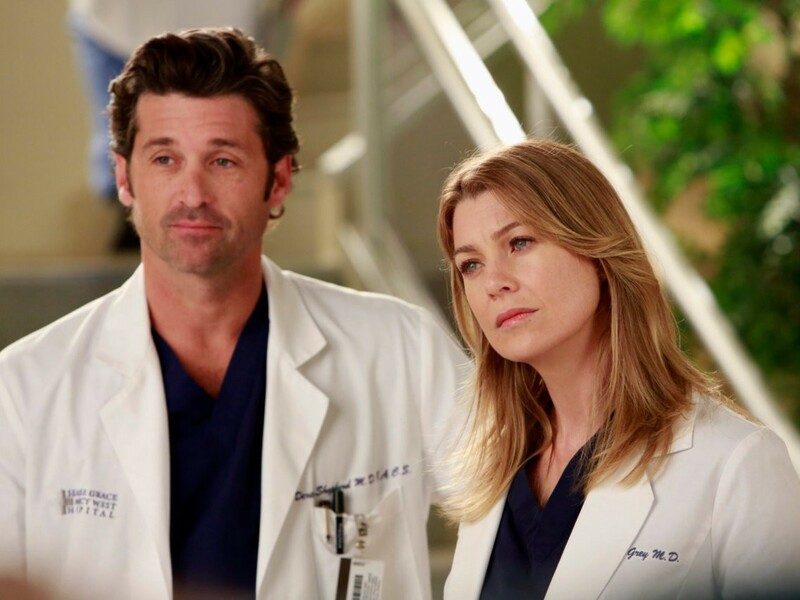 The female lead, Ellen Pompeo, as Meredith Gray from a first-year female trainee, has also been in her fifties. On the morning of March 1, Grey’s Anatomy has become the longest-running medical series of all time with 332 episodes. This achievement helped the film to cross the same theme series as ER debuted in 1994 with only 331 episodes. Currently, Grey’s Anatomy is ranked 15th among the longest TV series in history. However, the work will quickly rise when it is still being shown and pre-ordered for season 16. The “Grey’s Anatomy” cast has a distinct ethnic diversity. For a work to be loved by a great number of people, many factors are needed, in which racial diversity is extremely necessary in the context of the current confusion of America. Ekip Grey’s Anatomy used the color-blind casting method to choose actors according to the role of the role, not to care about gender, skin color or ethnicity. Many blockbusters now also use this method as Deadpool 2 (2018) when giving color actress Zazie Beetz and Aboriginal boy Julian Dennison the role of Domino and Firefist – two white characters in the original. After 15 years of broadcasting, the number of nominations Grey’s Anatomy received was up to approximately 3 digits, including 10 Golden Globe and 38 Emmy awards for Best Drama as well as the acting by Patrick Dempsey, Sandra Oh, Ellen Pompeo and Katherine Heigl. Instead of “slashing” to create drama at will, ekip Grey’s Anatomy hired doctors and medical experts to advise the screenwriters. So health terms, knowledge or tips are very helpful. According to Hollywood Reporter, a 10-year-old girl saved her mother’s life when she had an asthma attack by following cardiopulmonary resuscitation steps in Grey’s Anatomy. “Private Practice” is a popular part of the movie. In addition to the main series, ekip Grey’s Anatomy also made two additional meals under Private Practice – following the female doctor Addison Montgomery (Kate Walsh) to a California clinic – lasting 6 seasons and Station 19 with the main character being Ben Warren (Jason George) quit his career as a firefighter. Can’t Fight This Feeling is an episode based on the true story of a woman seeking to treat Kawasaki syndrome rarely for her son. This disease causes the blood vessels in the body to become inflamed, although it does not cause immediate danger, but long-term complications are extremely serious. Thanks to the episode above, doctors began to make many bulletin boards every year to help people soon discover and treat Kawasaki syndrome.